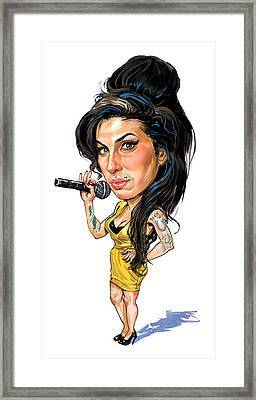 Amy Winehouse is a painting by Art which was uploaded on November 9th, 2012. 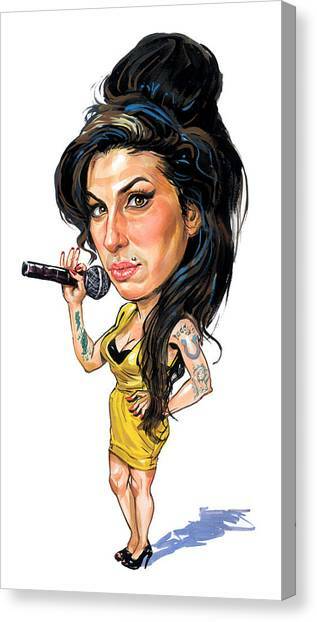 Amy Jade Winehouse (14 September 1983 - 23 July 2011) was an English singer and songwriter known for her deep contralto vocals and her eclectic mix of musical genres including R&B, soul and jazz. Winehouse's 2003 debut album, Frank, was critically successful in the UK and was nominated for the Mercury Prize. Her 2006 follow-up album, Back to Black, led to six Grammy Award nominations and five wins, tying the then record for the most wins by a female artist in a single night, and made Winehouse the first British female to win five Grammys, including three of the "Big Four": Best New Artist, Record of the Year and Song of the Year. In 2007 she won a Brit Award for Best British Female Artist; she had also been nominated for Best British Album. She won the Ivor Novello Award three times: once in 2004 for Best Contemporary Song (musically and lyrically) for "Stronger Than Me", once in 2007 for Best Contemporary Song for "Rehab", and once in 2008 for Best Song Musically and Lyrically for "Love Is a Losing Game". 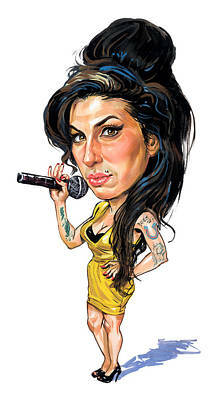 There are no comments for Amy Winehouse. Click here to post the first comment.